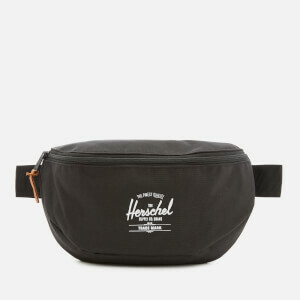 ‘Chapter’ wash bag from Herschel Supply Co. Forming a compact and convenient construction, the travel bag is secured with a waterproof zip top fastening that opens to reveal a fully lined main compartment and internal mesh slip pocket. 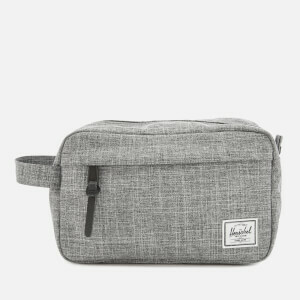 Detailed with an external zip and slip pocket either side. 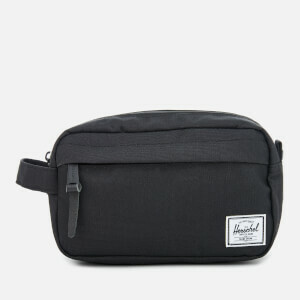 Finished with a woven grab handle and a contrast brand patch.